Some of you may know that I am something of an amateur money collector. Not in the investment sense, in the banknote sense. 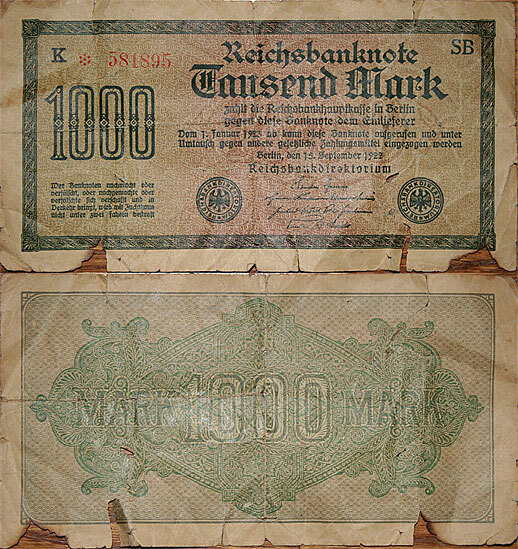 I enjoy banknotes, the more unusual the better. I have recently become reacquainted with some of my possessions – many of which I haven’t seen since this divorce process began about two years ago. 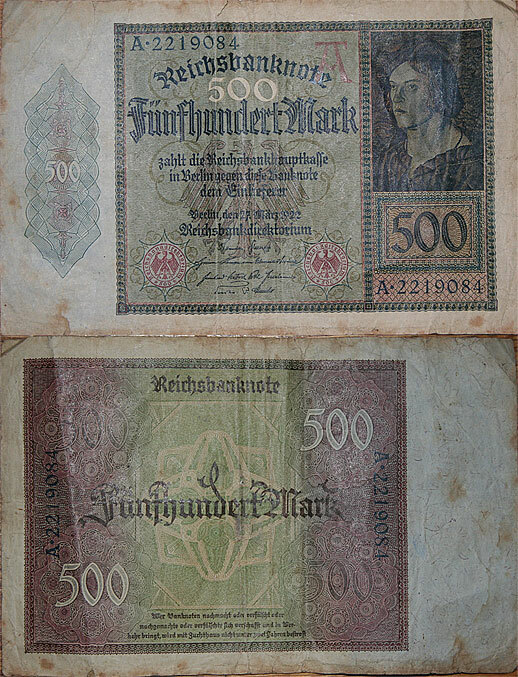 Among these possessions, stuffed haphazardly in a book were some very interesting banknotes from Germany. 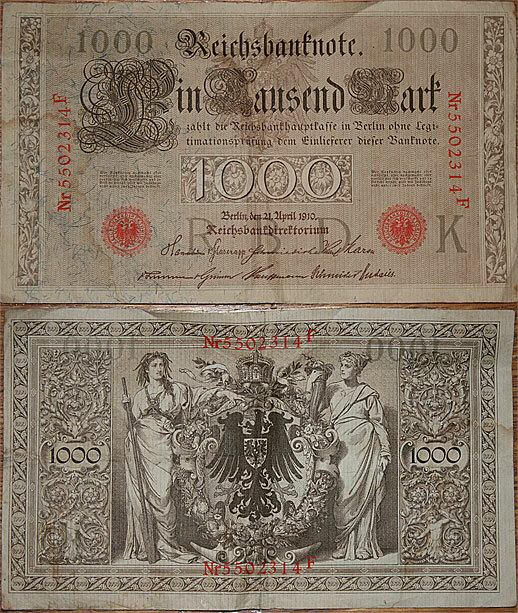 The bills are fascinating, demonstrating that the trend toward Blackletter typefaces and militaristic eagles predate both the Nazis and World War II. 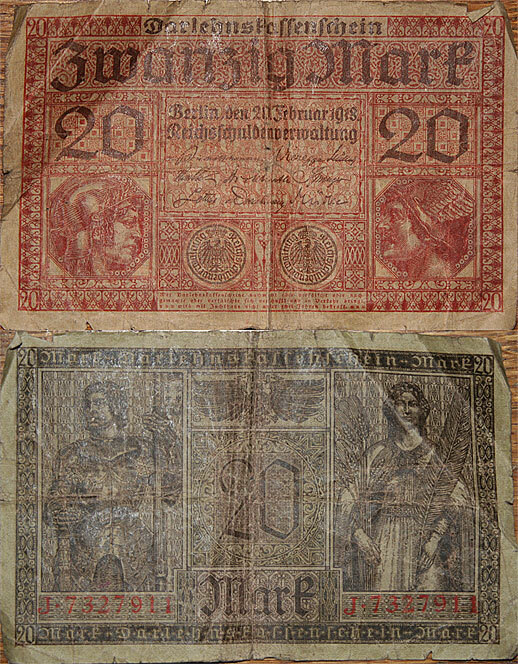 While these bank notes do not represent my entire collection, they do represent the oldest of the notes in my possession. I have some older Canadian bills, including a $20 note with the King on it, and Canadian $1, $2 and $5 dollar notes of various designs and vintage. Nice, nice. U.S. currency has taken entirely too long to embrace color, and we have yet to do so well. I commiserate with you on the divorce. I’m three years after mine, and…well, it’s not difficult in the ways I expected, but it is in others. Cheers, and nice to see you active again. Trying to pull it together myself.